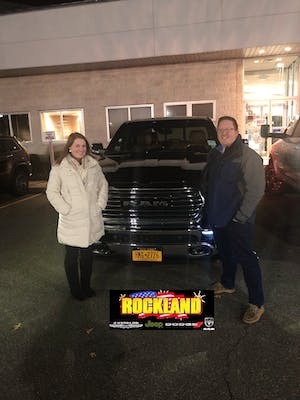 Welcome to Rockland Chrysler Dodge Jeep Ram! As a premier car dealership near New City, Nanuet, and Pearl River, we strive to provide our customers with a satisfying car buying experience from the moment you set foot into our showroom to the second you hit the road inside your new vehicle. No matter if you're looking for a powerful ride, financing advice, or trusted automotive service, you can count on our team of professionals to guide you through the process. Ready to get a closer look at everything you'll find inside our showroom? All you have to do is continue reading! Think about it: when you're searching for the perfect ride that'll protect your family and keep you in pace with your busy day, you need a little assistance to ensure that you're choosing the one that aligns with your lifestyle. 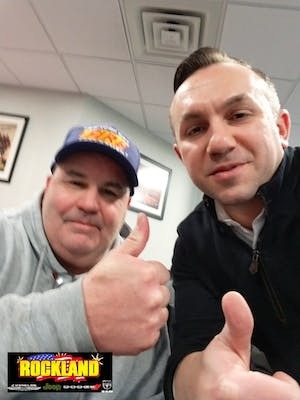 That's why the team at our Chrysler Dodge Jeep Ram dealership near Nanuet, NY, has gone above and beyond to provide you with the expertise and selection required for an efficient and pleasant shopping experience. First, we make it a point to keep your showroom stocked with a vast inventory of new models-from brawny trucks to dynamic SUVs to compact coupes, and everything in between. So, whether you're interested in something like the Jeep Wrangler, the Ram 1500, or any of our other models, you'll quickly locate the car that perfectly matches your unique personality. After that, our friendly sales associates help you customize the cabin of your new, used, or certified pre-owned Chrysler, Dodge, Jeep, or Ram vehicle. They'll present you with more information about the standard and optional features included on your preferred model so that you'll begin every journey with convenient technologies at your fingertips. It's no secret that our team of committed professionals loves our community and everyone in it. So, to show our support for those in need, we regularly partner with local charities. For example, our car dealership near Nanuet, NY, has worked with organizations like Toys for Tots and VisionWalk in past years to raise awareness throughout our community and donate to a good cause. To learn more about all the charities we've worked with over the years, feel free to give us a call or visit our showroom today. Last, but certainly not least, part of what makes our Nanuet, NY, dealership so special is our dedication to car financing support and certified service. By equipping you with a squad of knowledgeable financing experts, you'll drive home inside your new vehicle with an equitable loan or leasing option that fits your needs. Furthermore, our state-of-the-art repair shop comes with a team of skilled mechanics who utilize advanced tools and genuine parts to see to your car's repair and maintenance requirements. That way, you can feel confident that you're inside an automobile that will stay healthy for years to come. Looking for a way to reserve your next visit to our service facility? Simply choose your preferred date and time using our service scheduler. From there, our technicians will reach out to you to confirm your appointment. Get to Know Our Dealership Today! Now that you know a little more about our Chrysler Dodge Jeep Ram dealership, it's time to get more familiar with our inventory, financing associates, and cutting-edge service center. By opting to visit our showroom during your next search for the ideal car, you'll be supplied with all the essentials for an enjoyable car-buying adventure. Don't hesitate to discover everything we have to offer! Instead, stop by our showroom, give us a call, or schedule your test drive today! We came in to see Chris to return a leased Jeep. He helped us immensely in finding the perfect vehicle to replace the one we returned on lease. Chris worked with what we were able to put down and got us in the perfect price range for a monthly payment. Overall great experience and would HIGHLY recommend! Barry was the best. He took the time to work with me to get the best price possible. I would recommend Barry to a friend or family member. Chris Trois was absolutely amazing! My fiancé and I both leased new vehicles from Chris. He was beyond patient and knowledgeable. He went through all of our options with us and ensured that we were both satisfied with our purchases. By far the best salesman I’ve ever dealt with! We will be coming to him for all our future purchases. Once again, I had an excellent experience with the purchase of my vehicle. My salesman Chris, gave me the best deal on my truck and was extremely attentive to my needs. I will definitely buy another vehicle from Rockland dealership. Very short of help. So the wait in driveup line takes a long time. No issue as far as the service itsself and vehicle was ready when promised. 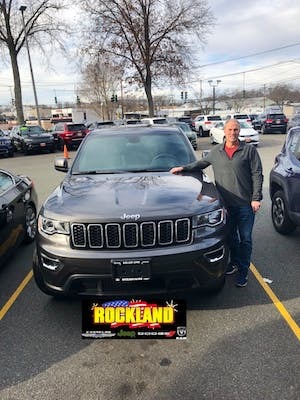 Thank you Barry for making my experience with Rockland Chrysler Dodge Jeep Ram a great one! Four years ago I got my first Jeep through Chris Gunst. He was so helpful back then so it was a no brainer for me to contact him again when it was time to turn my car in. He is not only super knowledgeable but so friendly. It was a pleasure doing business with him. John was the service representative that assisted me. He was polite . Informed me of how long it would take and it was exactly that. The folks at Rockland were first class and very helpful. My Ram 1500 was ready 2 hours ahead of the agreed to pick up time. Rockland Jeep has a phenomenal service department that makes the experience flawless. They also have knowledgeable reps that are able to explain and answer all of your questions. Thank you! Barry W. and Mike D. were very professional, courteous, friendly and knowledgeable. I would highly recommend these two men for all your future car purchases. Was treated with respect through the entire process and got exactly what I wanted. Best car buying experience I have ever had. Would recommend this dealership to anyone looking for a car. Anthony from the Service Dept. was professional and courteous. He explained all the details of my service appointment and set the right expectations from the start of my visit. You have earned my business from now on. Thank you. Truly great experience. Went in on a Saturday at 3 pm. They fixed s broken reflector and inspected my Jeep within an hour and for very reasonable rates. The staff was courteous professional and the service was outstanding. Very highly recommend. Best price in the area. I worked with Jermaine and Mike and they took care of everything I needed. It was quick and painless, and I trusted their suggestions. Awesome experience! 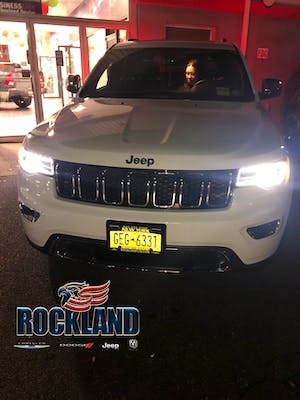 I had a great experience at Rockland Jeep in Nanuet. Barry my salesman was very helpful, informative and kind. This is my second lease through them and I am a very happy camper. The transition from my last Jeep to a newer model was so easy and smooth and I love my new Jeep Compass. 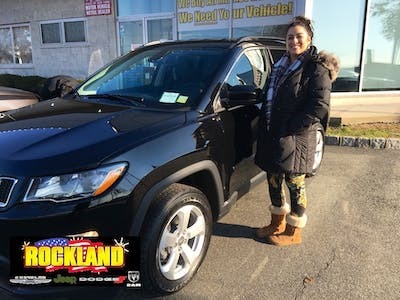 Thank you Rockland Chrysler Jeep Dodge Ram again for providing me with great service and a fine vehicle for a price you can’t beat! Come here for every scheduled service. They are always honest and prices are reasonable. I don't trust anyone else with my car. 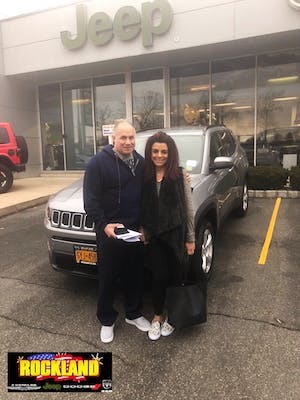 My wonderful Grand Cherokee was made possible when I went Jeep in Nanuet and worked with Lawrence as my sales person, he was attentive, knowledgeable and was willing to work a deal out with me. I would rate him a 10. Also the business office was just as good when I worked with Victor on my paperwork. Would recommend this dealership highly! Brought my Dodge Charger ScatPack for an oil change. Clean environment, friendly staff. Also took my car in with no waiting. Larry was a great salesman and made the car buying experience fun and exciting. It seemed as if he was as excited as we were to buy the truck, and I’m very pleased with how appreciative he was of our business. I’m very happy with my experience at Rockland CJD and Victor in finance dept is a great addition to their team! Thank you for getting me into my new Jeep! You made the stressful process of purchasing a vehicle easy,quick and stress free. I would highly recommend this dealership. Came in due to transmission stalling and needing to get into work ASAP on a Monday morning. Turned out I was overdue for an oil change! Thomas stepped up immediately and made sure to get me in line for this to be done ASAP! Thomas was very proactive and showed leadership skills that any team would be proud to have! Ask for Thomas J Biggie next time you go in! Tracy was exceptional! He was patient and very knowledgeable. I would recommend working with Tracy if you plan on purchasing your next vehicle! Due to his professionalism and superb customer service skills, my husband and I left with two cars instead of one! Thank you, Tracy! Friendly. Knowledgeable. Excellent salespeople. Nice that they are open evenings and sundays. Cooperative salesman was helpful with test drives and option choices. Love our new Grand Cherokee.! I am leasing a Dodge Ram for the last 3 years, been doing all my services here. Never had any issues either with the truck or with the service people or the mechanics. They always try to keep you informed about he service cost and the service progress. Chris Trois and Mike are amazing!!!!! Great experience and I will recommend RCJD dealership...... The team made it easy. Very understanding and they make sure we got what we need. Brian was extremely helpful and straight forward. I had a great experience overall. I would definitely recommend this dealership to other buyers. The people were friendly and was able to get me the best deal possible. Pleasant experience purchasing a Jeep Grand Cherokee viewed on line. 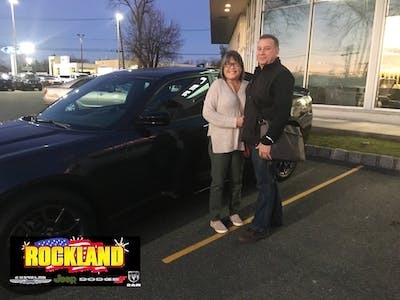 Tracy Scott helped with the purchase and trade in of my vehicle. Pleasant and easy transaction. Knowledgable sales person for only being on the job 3 weeks. (Andy) got me within my budget and all my wants. Very happy with my new grand Cherokee. We were very specific about what we wanted to buy and Joe found the perfect car. He communicated often and while other dealers are now calling a week after the fact he won the deal by being on top of his game. Great bunch of people. Worked out a great deal to get me in the vehicle I wanted. Thought I was going to have to settle on a lower model but they made it work. Very happy with them. Tom was very helpful! Outstanding customer service. His rating is 10. He was very knowledgeable, friendly, and experienced with teaching about the different parts and quality of use.